I’m a skincare junkie. I’m always on the hunt for the best and most beautiful ranges made with clean, high-quality ingredients. Earlier in the year I shared the top 10 brands that were on my 2015 skincare lust list, one of which is Sodashi. The Australian line’s name translates to “wholeness, purity and radiance” in Sanskrit. Sodashi caught my eye for its combination of aromatherapy, biochemistry and Ayurvedic principles using the purest grade natural ingredients. I’m of course partial to elegant packaging and everything about Sodashi purrs oh so covetable luxury. It is investment skincare and priced accordingly. I’m a firm believer that beauty is not just about products but mind, body and soul so reading up about the company I was intrigued by how holistic harmony seemed to run through its DNA. How many beauty companies practice transcendental meditation in the workplace for instance? When the opportunity came up, I leapt at the chance to ask Megan Larsen, founder of Sodashi about the range and her ethos. Me: What does “natural beauty” mean to you? Megan: “To me, natural beauty is about clean non-toxic skincare. To achieve a real natural beauty offering, brands need to hold themselves to very high standards in terms of choosing ingredients and formulations that are not harmful to our health, but that still deliver amazing benefits to the skin. In the same way you take care about what food you eat, we need to think about the products we put on our skin. Feeding the body junk food doesn’t result in good health and wellbeing; likewise ‘feeding’ the skin junk food in the form of skincare full of artificial preservatives, fillers and fragrances won’t result in a healthy, radiant complexion. Me: Why does Sodashi not use any synthetics whatsoever? Megan: “It has been shown that around 60% of what you put on your skin is absorbed into your bloodstream. There are thousands of untested synthetic chemicals being used in beauty products with little or no understanding of the consequences to our health. Me: Which ingredients are the biggest challenge to source? Megan: “As we use only the purest natural ingredients from around the world to formulate Sodashi products, the supply of many of our plant ingredients can vary from season to season. For example, Sodashi sources wildcrafted certified organic lavender from one single grower in Haute Provence region of France. There, the organic lavender is grown in optimal climatic conditions ensuring the highest quality therapeutic grade essential oil with highly regenerative properties. The yield can vary from year to year so we have to work very closely with this supplier to ensure an adequate supply of this incredible oil for the formulation of Sodashi products. Me: Why is it important to invest in your skin? Megan: “A radiant complexion is the benefit of investing in your skin! We all want to look our best at any age, and glowing skin is a big part of that. Whilst a balanced diet nourishes your skin from the inside, effective natural skincare packed with vitamins and nutrients feeds the skin from the outside. Me: Ayurveda is one of the oldest healthcare systems in the world (I was fortunate to learn a little about it on a trip to Kerala). In the UK, it is emerging as a new beauty trend, why do you think this is? Is there a risk that the holistic point will be lost in the “trend”? Megan: “In ancient Sanskrit, Ayus means life, and Veda means knowledge – so Ayurveda means the ‘Science of Life’, or ‘Knowledge for a long and healthy life’. Ayurveda knowledge has huge benefits for your health and happiness; it emphasizes the importance of a good daily routine, for example digesting food properly for good nourishment, getting an adequate amount of quality sleep, and practicing regular daily meditation. Happy, healthy people look radiant so it makes sense that Ayurveda is linked to beauty. 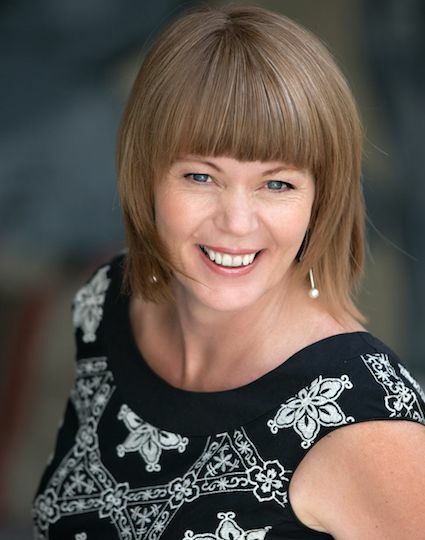 There is a risk that the holistic point will be lost in the trend as you say, but for those who are willing to dig deeper it can provide a wealth of knowledge and practical tools for wellbeing for life. Me: Ayurveda is a holistic approach – mind, body and soul – which Sodashi seems to really embrace even in work practices. I saw that you offer group transcendental meditation at work? How did this come about? Megan: “Yes, at Sodashi we come together to meditate as a group every afternoon at 3pm. I discovered Transcendental Meditation when I was 32 and have been practicing it twice a day for 20 minutes ever since. I continue to experience great benefits from this daily ritual; it gives me great energy and clarity of thought. Soon after I founded Sodashi my second ever employee would see me meditating every afternoon and one day she came up to me and said she said “I want what you have!”, and she asked if she could learn to meditate too. So I said yes! Me: I’m sure it’s like choosing a favourite child, but do you have a favourite product? Megan: “It is too hard to choose just one! Here are some of my favourites. 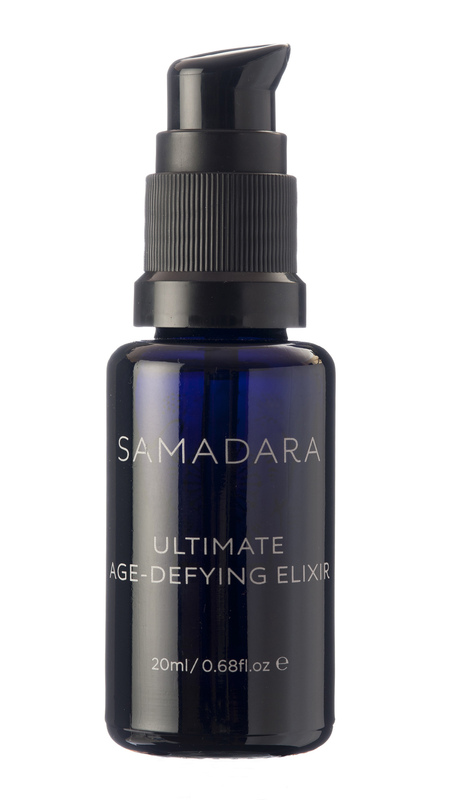 There’s no doubt Samadara Ultimate Age-Defying Crème and Samadara Ultimate Age-Defying Elixir are amongst my absolute favourites – these two products deliver seriously amazing results. Skin is regenerated and fine lines disappear. Brightening Marine Mineral Mask – this is what I use for an amazing pick me up for my skin after travelling, before a big event when I really want my skin to glow! Calming Rose Face Mist – always perfect after cleansing, to set make-up, or for a quick spritz on the go – it’s always in my handbag. With Damask Rose essential oil and hydrosol its aroma is divine! Eye Lifting Gel – the ultimate wake your eyes up product, it firms, cools and soothes. Recently re-formulated it now contains arnica which has an amazing ability to reduce puffiness and alleviate dark circles. Rejuvenating Concentrate – Sodashi’s answer to gentle, everyday exfoliation. This product delivers beautiful results with zero irritation. Inhaling the gorgeous aromas with a warm cloth – it’s my ‘nurture me’ and makes every bathroom smell delicious! Me: What is your top (non-product related) beauty tip? Me: What is your ultimate luxury? Me: Anything new on the horizon for Sodashi? Megan: “Always! We continue to expand our global spa portfolio having recently launched Sodashi at the Akasha Wellbeing Centre at the fabulous Hotel Café Royal in London. We’ve also launched into The Spa at Four Seasons Hotel Bahrain Bay, the largest spa within the Four Seasons portfolio with 17 treatment rooms. One question I didn’t ask is how come so many fabulous natural ranges are coming out of Australia! Next Next post: ‘Fess up. Are you a makeup snob?